Awards Season is upon us once again and we at Cinelease could not be more excited to announce our sponsorship of this years 30th Annual ASC Open House! 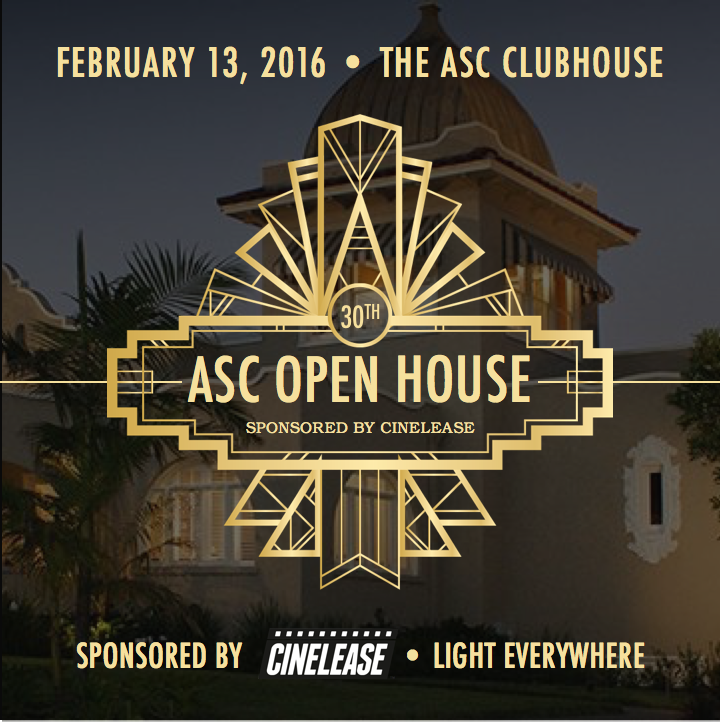 Come one, come all to the annual ASC Open House sponsored by Cinelease! All of this year’s #ASCAwards nominees & honorees are invited to attend. Please note: No parking is provided. There are several nearby public lots, including Hollywood & Highland. Go Metro: Red Line subway or Bus 212 or 217 (www.metro.net). Visit theasc.com for more information! Newer Visit Cinelease at the Sundance Film Festival!